Here is the list of the hotels near Saint-Estève. Book your hotel near Saint-Estève today, Friday 10 May for the best price, reservation and cancellation free of charge thanks to our partner Booking.com, leader in on-line hotels reservation. Below here is the list the 50 closest hotels of Saint-Estève, sortable according your criteria. You will find the position of these accommodations on the Saint-Esteve hotels map. Apartment Saint-Estève Preferred hotel ! Le Domaine d'Aguzan is located in Saint-Estève. Complimentary WiFi is available. All units come with a terrace with garden views, a kitchen with an oven, and a private bathroom with shower. A microwave and toaster are also featured, as well as a coffee machine. The apartment offers a seasonal outdoor pool. Guests can relax in the garden at the property. Perpignan is 4.1 km from Le Domaine d'Aguzan, while Collioure is 33 km away. The nearest airport is Perpignan - Rivesaltes Airport, 6 km from the accommodation. Domitys Les Tours d'Or is an ApartHotel, located in Perpignan, created for autonomous senior citizens. Specially designed with comfort and safely in mind, the individual apartments are spacious and modern. This apartment features a kitchenette, lounge, bedroom and bathroom. Complimentary luxuries include bathrobes, slippers, free toiletries and a flat-screen TV. A continental breakfast is available each morning, serving bread, jam, tea, coffee and fruit juice. You can enjoy this service in the comfort of your apartment if you request in advance. The residence also has a restaurant, open for lunch, and a bar. Communal facilities include an indoor pool, a fitness centre, garden and car park, all accessible free of charge. There is also a wellness centre which offers services for a supplementary cost. The residence does not have medical personnel like a nursing home, however the staff are happy to keep track of your individual health appointments. Quality Hotel Centre Del Mon Perpignan is located in the heart of Perpignan a 15-minute walk from the city’s historic centre. It offers a bar, a patio and underground on-site parking at an additional cost. The air-conditioned rooms are equipped with a flat-screen TV and private bathroom with shower. Free WiFi is available throughout the hotel and fully-equipped meeting rooms are available for use. Three breakfast options are available daily at a supplementary cost, and can be enjoyed in the breakfast room or in the guest rooms. Quality Hotel El Centre Del Mon is 1.6 km from The Palace of the Kings of Majorca and 2 km from Perpignan Cathedral. The property is between Les Pyrénées and the Mediterranean Sea and is 36 km from the border with Spain. Comfort Hotel El Centre Del Mon is located in the heart of Perpignan, a 10-minute walk from the city’s historic centre. It offers a bar, a patio and underground on-site parking at an additional cost. The air-conditioned rooms are equipped with a flat-screen TV and private bathroom with shower. Free WiFi is available throughout the hotel. Three breakfast options are available daily at an additional cost, either in the breakfast room or in the guest rooms. Fully-equipped meeting rooms are also available for use. Comfort Hotel El Centre Del Mon is 1.6 km from The Palace of the Kings of Majorca and 2 km from Perpignan Cathedral. The property is between Les Pyrénées and the Mediterranean Sea and is 36 km from the border with Spain. This Fasthotel is located 4 km from central Perpignan, at exit 42 of the A9 motorway. Guest rooms are air-conditioned and equipped with en suite facilities. Guests of the Fasthotel Perpignan can enjoy traditional and regional cuisine in the restaurant. A buffet breakfast and set menus are also available. Fasthotel Perpignan is situated in the Grand St Charles district, near many local vineyards, open to visitors. Guests can also visit Perpignan Cathedral and Palace of the Kings of Majorca. hotelF1 Perpignan Sud is located in Perpignan, 5 km from Stade Gilbert Brutus. Rooms are fitted with a shared bathroom. Guests can purchase microfibre towels at the hotel at an extra cost of EUR 3 each. You will find a 24-hour front desk at the property. Chamber of Commerce is 2.6 km from hotelF1 Perpignan Sud, while University of Perpignan is 2.9 km from the property. Perpignan - Rivesaltes Airport is 6 km away. Guest accommodation Perpignan Preferred hotel ! Located in the centre of Perpignan directly opposite Perpignan Train Station, Appart'City Perpignan offers self-catering accommodation just 15 km from the beach. Free wired internet is available in the rooms and free WiFi access is available at the reception area. The Palace of the Kings of Majorca is a 20-minute walk away. Each studio or apartment includes a desk, a flat-screen TV and a wardrobe. The private bathrooms offer a shower, toilet and hairdryer. The kitchenettes are equipped with a stove, refrigerator and microwave. Restaurants and bars can be found within walking distance. Breakfast is composed of various breads, including gluten-free bread, pastries, fresh and hot beverages. Fresh fruit and fruit salad, as well as cheeses and yogurts are also provided. Perpignan Airport can be reached in 10 minutes by car. Underground parking is available with advance reservation and at an extra cost. This small hotel welcomes you in a friendly atmosphere, in Perpignan, facing the railway station – the “center of the universe” according Salvador Dali. Hôtel Paris-Barcelone features comfortable rooms. Benefit from an ideal location between the Catalan Pyrénées mountain range and the Mediterranean sea. Located within 4.4 km of Stade Gilbert Brutus in Perpignan, Perpi entre Mer et Montagne offers accommodation with free WiFi. All units feature a living room with a flat-screen TV, a fully equipped kitchen with a dining area, and a private bathroom with bath. An oven, a microwave and toaster are also featured, as well as a coffee machine. A continental breakfast is served each morning at the property. At the apartment you will find a restaurant serving French cuisine. Théâtre de l'Archipel is 1.6 km from Perpi entre Mer et Montagne. Perpignan - Rivesaltes Airport is 8 km away. Ibis Budget Perpignan Sud is located in Perpignan, 5 km from Stade Gilbert Brutus. Free WiFi is available throughout. The guest rooms have a satellite flat-screen TV and a bathroom with a shower and toilet. You will find a 24-hour front desk at the property. Chamber of Commerce is 3.6 km from Ibis Budget Perpignan Sud, while University of Perpignan is 3.7 km from the property. The nearest airport is Perpignan - Rivesaltes Airport, 7 km from Ibis Budget Perpignan Sud. Maison Beausoleil is a homestay property located a 20-minute walk from the centre of Perpignan, 1.4 km from Stade Gilbert Brutus and 1.3 km from Perpignan Convention Centre. Free WiFi is available. The room comes with a flat-screen TV. Enjoy a cup of tea from your terrace or patio. The room has a private bathroom fitted with a bath or shower. For your comfort, you will find free toiletries and a hairdryer. There is a private external toilet located in the corridor. Perpignan Town Hall is 1.4 km from Maison Beausoleil, while Chamber of Commerce is 1.5 km from the homestay. The nearest airport is Perpignan - Rivesaltes Airport, 4 km from Maison Beausoleil. Private parking for motorcycles is available inside the property. With pool views, Domaine La Via Regia: Les Maisons is set in Perpignan and has accommodation with a kitchen. Free WiFi is available. Offering garden views, all units come with a washing machine, coffee machine, a flat-screen TV, ironing facilities and a living room. A microwave and toaster are also offered, as well as a kettle. A continental breakfast is available daily at the holiday home. Domaine La Via Regia: Les Maisons offers an outdoor pool. Guests can also relax in the garden. Stade Gilbert Brutus is 6 km from the accommodation, while Chamber of Commerce is 3 km from the property. The nearest airport is Perpignan - Rivesaltes Airport, 8 km from Domaine La Via Regia: Les Maisons. NYX Hotel is located in Perpignan city centre, just 500 metres from Perpignan Train Station. Free WiFi access is available. All rooms are equipped with air conditioning and offer a unique décor, a flat-screen TV and satellite channels. Extras include a desk, a safety deposit box and tea/coffee making facilities. The private bathroom is complete and offers a hairdryer. A buffet breakfast including sweet and savoury options is available every morning at an extra charge. NYX Hotel also offers a bar and a shared lounge. Cycling is possible in the surroundings, and bicycles can be parked in the onsite private parking for an extra charge. The hotel is 250 metres from Plaza Catalunya, a 10-minute walk from Perpignan's historic centre and 1 km from the Congress Centre. Perpignan-Rivesaltes Airport is 6 km away. Private parking is possible upon reservation at the property and for an additional charge. Situated in Perpignan, Casa Oliva is an apartment with a kitchen and a private balcony. It is 600 metres from the Old Town and the Train Station. The apartment is equipped with a flat-screen TV. Providing free private parking, this apartment also features free WiFi. The property is 14.5 km from Canet-en-Roussillon Beach and 30 km from Collioure. The nearest airport is Perpignan - Rivesaltes Airport, 7 km from Casa Oliva. Apartment Perpignan Preferred hotel ! Featuring city views, Appartement Perpignan Centre Place Catalogne provides accommodation with a balcony, around 3.5 km from Stade Gilbert Brutus. The property is 600 metres from Chamber of Commerce and 800 metres from Perpignan Town Hall. With free WiFi, this 1-bedroom apartment features a flat-screen TV, a washing machine and a kitchen with an oven and microwave. The property also has 1 bathroom with free toiletries. Perpignan Convention Centre is 1.3 km from the apartment. Perpignan - Rivesaltes Airport is 7 km away. Located in Perpignan, 6 km from Stade Gilbert Brutus, B&B Hôtel Perpignan Sud Marché International features air-conditioned rooms and free private parking. Each room is fitted with a flat-screen TV with cable channels. All rooms come with a private bathroom. B&B Perpignan Sud Marché International features free WiFi . University of Perpignan is 4 km from B&B Hôtel Perpignan Sud Marché International, while Chamber of Commerce is 4 km away. Exit 42 of the A75 motorway is a 5-minute drive from the property. The nearest airport is Perpignan - Rivesaltes Airport, 7 km from B&B Perpignan Sud Marché International. Hôtel Mondial is a 10-minute walk from Perpignan Train Station and from the Palais des Congres, a 3-minute walk from the Castillet Monument, and just 1 minute from the Archipel Theatre. It offers wine tasting sessions and free Wi-Fi access. The rooms at Hôtel Mondial are decorated in a traditional style and include a flat-screen TV. While all of them have a private bathroom, some also feature a private balcony with views of the city. After enjoying the buffet breakfast in the morning, you may choose to relax on the beach at Canet Plage, which is 15 km away. Free bicycle storage is available if you reserve in advance. This Novotel Suites Perpignan Mediterranée hotel is located in the centre of Perpignan 600 metres from Perpignan Cathedral. It offers air-conditioned suites, a fitness centre and free WiFi. Suites at Novotel Suites Perpignan Mediterranée are equipped with a telephone, TV and private bathroom. The hotel's fitness centre is open 24 hours and free massages are provided each Thursday evening. Additional facilities include a boutique, business area and bar. Novotel Suites Perpignan Mediterranée is a 5-minute drive from Perpignan Train Station and is 5 km from Perpignan – Rivesaltes Airport. Set in Perpignan, 3.4 km from Stade Gilbert Brutus and 500 metres from Chamber of Commerce, Berna provides accommodation with amenities such as free WiFi and a flat-screen TV. The property features city views, plus is 600 metres from Perpignan Town Hall. Offering direct access to a terrace, the apartment consists of 1 bedroom. The kitchen has a dishwasher, an oven and a microwave, as well as coffee machine. Perpignan Convention Centre is 1.2 km from the apartment. The nearest airport is Perpignan - Rivesaltes Airport, 7 km from the property. Le Pavillon de Soi in Perpignan features accommodation with free WiFi, 2.6 km from Stade Gilbert Brutus. The apartment is a 3-minute walk from Chamber of Commerce. The apartment includes a kitchen with a dishwasher and an oven, as well as a coffee machine. A flat-screen TV is provided. Théâtre de l'Archipel is 300 metres from Le Pavillon de Soie, while Perpignan Town Hall is a 5-minute walk from the property. Perpignan - Rivesaltes Airport is 5 km away. Centre Ville Saint-Martin offers accommodation in Perpignan, 3.8 km from Stade Gilbert Brutus and less than 1 km from Chamber of Commerce. Guests staying at this apartment have access to a fully equipped kitchen. The apartment is fitted with a flat-screen TV, 1 bedroom and a living room. Perpignan Town Hall is a 14-minute walk from the apartment. The nearest airport is Perpignan - Rivesaltes Airport, 7 km from Centre Ville Saint-Martin. The Appart-Hôtel Mer & Golf City Perpignan Centre is located 400 metres from Perpignan Old Town. Gilbert Brutus Stadium is 2.4 km away. Basic WiFi access is available free of charge. Full WiFi access is available for an extra fee. Appart-Hôtel Mer & Golf City Perpignan Centre features air-conditioned apartments with a satellite TV, desk and kitchenette with a microwave and refrigerator. There is a private bathroom with a shower in each unit. Breakfast is served in the dining room each morning. Many restaurants can be found within a 5-minute walk. The Archipel theatre is 150 metres away, and the nearest airport is Perpignan–Rivesaltes Airport, 6.7 km from Appart-Hôtel Mer & Golf City Perpignan Centre. Set in Perpignan, 2.8 km from Stade Gilbert Brutus and 700 metres from Perpignan Convention Centre, appartement luxueux offers free WiFi and air conditioning. The property is less than 1 km from Chamber of Commerce. This apartment comes with a kitchen, a flat-screen TV, a seating area and 2 bathrooms. The reception can provide advice on the area in order to help guests plan their day. The apartment offers a terrace. Perpignan Town Hall is a 13-minute walk from appartement luxueux. The nearest airport is Perpignan - Rivesaltes Airport, 6 km from the accommodation. Situated in Perpignan, 2.6 km from Stade Gilbert Brutus, T3 proche Castillet provides a living room with a flat-screen TV, and free WiFi. The property features city views and is 600 metres from Perpignan Convention Centre. The apartment is equipped with 2 bedrooms, a kitchen with a dishwasher, and 1 bathroom. Chamber of Commerce is less than 1 km from the apartment, while Perpignan Town Hall is a 12-minute walk from the property. The nearest airport is Perpignan - Rivesaltes Airport, 6 km from the property. Featuring a balcony with a city and river view, Apartment Centre Ville is located in the centre of Perpignan. The property is 2.4 km from Stade Gilbert Brutus. This self-catering accommodation features free WiFi. The non-smoking apartment features a flat-screen TV and a balcony. There is a fully equipped kitchen with a dishwasher and a microwave. The private bathroom has a spa bath and a hairdryer. Grocery deliveries are available upon request. Perpignan - Rivesaltes Airport is located 5 km away. The property offers free parking. Hotel Aragon is located in the heart of Perpignan just 200 metres from the Palais des Rois de Majorque. It offers friendly welcome and free WiFi. Rooms come equipped with air conditioning, satellite TV, telephone, work desk and private bathroom. Friendly staff are available to help make your stay as pleasant as possible. They speak French and English and can provide advice on the local area. Hotel Aragon is a short walk to the city centre, the historical centre, restaurants, shops and major tourist sites. Free street parking is available around the property. Set in Perpignan, Cosy studio Perpignan features free WiFi and units equipped with a kitchen and balcony The apartment offers a flat-screen TV and a private bathroom with free toiletries, a hair dryer and bath. A microwave, a toaster and fridge are also offered, as well as a coffee machine and a kettle. Stade Gilbert Brutus is 3.1 km from Cosy studio Perpignan. The nearest airport is Perpignan - Rivesaltes Airport, 6 km from the accommodation. The hotel is located on the Promenade Des Palmiers (Palm Tree Promenade) in Perpignan city centre, 500 metres from the Convention and Exhibition Centre. It offers a bar, a sauna and a fitness room. All of the air-conditioned rooms at Mercure Perpignan Centre feature a satellite TV, a mini fridge and a desk. There are also tea and coffee making facilities. They all include a private bathroom with a bath, a hairdryer and free toiletries. A continental breakfast is served every morning in the communal lounge. From Monday to Friday, you can enjoy light meals in your room and relax at the on-site bar. Room service is available 24 hours a day, every day. Just 2 km from the Sports and Exhibition Complex, Mercure Perpignan Centre provides 3 meeting rooms and free WiFi. Canet-en-Roussillon Plage is a 20-minute drive away. Hôtel De La Loge is located in Perpignan's centre at the foot of Place de la Loge and 200 metres from Perpignan Cathedral. Guests staying at the Hôtel De La Loge can also visit the Palace of the Kings of Majorca, a 10-minute walk away. All air-conditioned rooms include a desk, a flat-screen TV, free WiFi and a private bathroom. Selected rooms have a balcony with views of the Place de la Loge or of the interior patio decorated with Mediterranean plants, palm trees and cacti. The Hotel serves a buffet breakfast every morning either in the hotel’s breakfast room or in the comfort of the guests room. The property features a reception and a communal lounge. Hôtel De La Loge is a 5-minute drive from the A9 motorway and Perpignan Train Station is a 15-minute walk away. Arago Public Parking is located a 5-minute walk from the property on Rue Porte d'Assaut. Guests have easy access to the beach which is just 10-minutes away and the Spanish Border is a 30-minute drive. Located in the historic centre of Perpignan in Place de la Loge, 200 metres from Perpignan Cathedral, this guest house offers stylish rooms with air-conditioning and free Wi-Fi. Perpignan Train Station is 1.4 km away. Guest rooms at CanArtists La Loge have a modern decor and feature a flat-screen TV with satellite channels. The en suite bathrooms are equipped with a hairdryer. A continental breakfast is served each morning at a supplement. Additional facilities available include a terrace where guests can relax and a 24-hour reception desk. Secure parking is available 200 metres away. Situated in the historic center of Perpignan, this air-conditioned apartment features free WIFI and a terrace. The property boasts views of the city and is 900 metres from the shopping streets. The kitchen is fitted with an oven, a microwave and a refrigerator, as well as a coffee machine. A flat-screen TV is featured. Perpignan Town Hall is 500 metres from Apparts Perpi Centre, while Perpignan Convention Centre is 1.1 km from the property. The nearest airport is Perpignan - Rivesaltes Airport, 5 km from the property. Coronell d'En Vila Suites is located in Perpignan’s main square in the heart of the city and offers eco-friendly accommodation. Free WiFi is available throughout. Standard suites feature a living area with a flat-screen TV and a kitchenette with a fridge, microwave-oven, kettle, crockery and cutlery. Superior suites have a fully equipped kitchen and a dining area and one superior suite has a private balcony while another one offers a rooftop terrace with an open-air shower and views of the Pyrénnées Mountains. Bars and restaurants can be found within walking distance. The suites are only accessible by stairs. Coronell d'En Vila Suites is situated 290 metres from Saint Jean Cathedral and 300 metres from the Tourist Office. Perpignan Train Station is 2 km away and Perpignan Airport can be reached in 15 minutes by car. Offering barbecue facilities and mountain view, Place République is set in Perpignan, 3.3 km from Stade Gilbert Brutus and less than 1 km from Chamber of Commerce. This apartment is a 14-minute walk from Perpignan Town Hall and 1.2 km from Perpignan Convention Centre. This apartment comes with 1 bedroom, a flat-screen TV, a dining area, and a kitchenette. The apartment offers a terrace. University of Perpignan is 2.7 km from Place République, while Théâtre de l'Archipel is 2.9 km from the property. The nearest airport is Perpignan - Rivesaltes Airport, 6 km from the property. Located in Perpignan, Les Aviateurs offers self-catering accommodation featuring free bikes and table tennis. This property offers free WiFi access. The air-conditioned villa offers a terrace, a seating area and a flat-screen TV. There is a full kitchen with a dishwasher and a microwave, a bathroom with bath and 2 additional toilets. At Les Aviateurs you will find barbecue facilities, an outdoor parking and a second covered, secured garage free of charge. The property is 6 km from Stade Gilbert Brutus and Perpignan-Rivesaltes Airport is 8 km away. Situated in Perpignan, 3.2 km from Stade Gilbert Brutus, Appartement Ribeil offers free WiFi. Each unit comes with a fully equipped kitchen with an oven, a fireplace, a seating area with a sofa, a flat-screen TV, a washing machine, and a private bathroom with shower. A microwave and toaster are also featured, as well as a coffee machine and a kettle. The apartment offers a barbecue. Skiing can be enjoyed nearby. Perpignan Convention Centre is 1.1 km from Appartement Ribeil, while Chamber of Commerce is 1.2 km away. Perpignan - Rivesaltes Airport is 6 km from the property. STUDIO 25 M2 HYPER CENTRE is situated in Perpignan. Guests staying at this apartment have access to a fully equipped kitchen. The apartment has 1 bedroom and 1 bathroom with a shower. A flat-screen TV is offered. Stade Gilbert Brutus is 3.5 km from the apartment. Perpignan - Rivesaltes Airport is 7 km from the property. Situated 3.2 km from Stade Gilbert Brutus, 1 km from Perpignan Convention Centre and 1.5 km from Chamber of Commerce, Apartment Rue Saint Francois de Paule provides accommodation set in Perpignan. Guests staying at this apartment have access to a fully equipped kitchen. This air-conditioned apartment comes with 3 bedrooms and 2 bathrooms equipped with a bidet and free toiletries. A flat-screen TV with satellite channels is available. If you would like to discover the area, skiing is possible in the surroundings. Perpignan Town Hall is 1.6 km from the apartment, while University of Perpignan is 2.9 km from the property. The nearest airport is Perpignan - Rivesaltes Airport, 6 km from Apartment Rue Saint Francois de Paule. Appartement Saint-Sauveur is situated in the city centre of Perpignan, 3.1 km from Stade Gilbert Brutus. Perpignan Town Hall is 400 metres away. Free WiFi is offered. The apartments are accessible by stairs only. The air-conditioned units have a seating and dining area. Some units feature a terrace and/or balcony with mountains views. The apartments all have a living room with a sofa bed, a large flat screen TV and a bedroom with a bathroom and shower. Towels and bed linen are available. All units have a kitchenette with an oven, a microwave and toaster, as well as a coffee machine and a kettle. Some units also have a kitchen, equipped with a dishwasher, a refrigerator and a stovetop. Appartement Saint-Sauveur is 13 km from the beach, while the Spanish border is 50 km away. The train station is 2 km from the property and Perpignan - Rivesaltes Airport is 5 km away. Situated 5 km from Stade Gilbert Brutus, 2.6 km from Chamber of Commerce and 2.7 km from Perpignan Town Hall, Les Jardins catalans features accommodation set in Perpignan. The apartment, set in a building dating from 2003, is 3.3 km from University of Perpignan and 3.3 km from Théâtre de l'Archipel. The apartment has 1 bedroom, a flat-screen TV and a fully equipped kitchen that provides guests with an oven, a microwave, a washing machine and a toaster. The property also has 1 bathroom with a shower. The apartment offers an outdoor pool. A barbecue is available for guests to use at Les Jardins catalans. Perpignan Convention Centre is 3.7 km from the accommodation. The nearest airport is Perpignan - Rivesaltes Airport, 9 km from Les Jardins catalans. Myperpignan is located 300 metres from Perpignan's city centre and offers self-catering apartments. 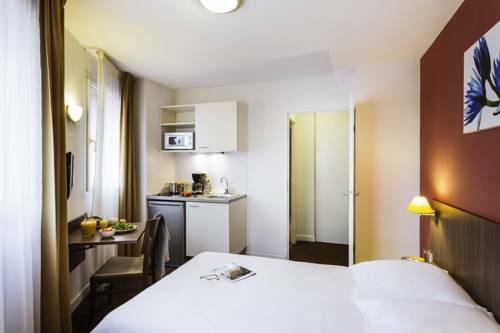 The units are a 5-minute walk from the markets, shops, restaurants and Place de la République. Free WiFi access is provided. Most studios are air-conditioned and each studio and apartment has a living room with a sofa bed, a flat-screen TV, a dining area and an equipped kitchen. There is a separate sleeping area with a double bed and a bathroom with a shower. The 1-bedroom apartment is more spacious and is set on 2 levels. Myperpignan is a 20-minute walk from Perpignan Train Station. The local market sets up 400 metres away every morning, except for Mondays in winter. The property is a 15-minute drive from the beach and public street parking is available nearby for a day rate. Boasting barbecue facilities, a garden, and a terrace, City Break de Balzac provides accommodation in Perpignan with free WiFi and garden views. The air-conditioned accommodation is 3.5 km from Stade Gilbert Brutus. The holiday home has 2 bedrooms, a living room, and a kitchen with a dishwasher. The holiday home also features 1 bathroom with a bidet. Popular points of interest near the holiday home include Perpignan Convention Centre, Chamber of Commerce and Perpignan Town Hall. Perpignan - Rivesaltes Airport is 7 km away. Below here is the hotels map of Saint-Estève. Names and details of Saint-Estève hotels can be shown on the map clicking on the prices icons.